$8999*/mo for 12 months with 2-yr. svc. agr. Call now for COX deals! $6499*/mo for 12 months with 1-yr. svc. agr. $2999*/mo for 12 months with 1-yr. svc. agr. Sign up for a Cox Bundle to save a bundle plus get the convenience of ordering all of your services in one place and having your Cox TV, Internet and Phone services together on one, affordable monthly bill. 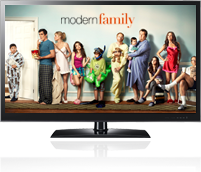 Cox Advanced TV offers up to 330 digital channels and free HD programming. Cox Advanced TV offers special features also include a full library of On Demand choices as well as pay-per-view events and 45 music channels in a variety of genres. You can’t go wrong with the quality, reliability and entertainment lineup of Cox Advanced TV – especially at these limited-time prices! Find your Cox Advanced TV offers now! Millions of customers know that Cox High Speed Internet offers blazing fast downloads as well as the option of PowerBoost® to really pump up the power when you need it. You’ll love Cox High Speed Internet and your very own Cox email account. Need to access your Cox email when you're on the road? Cox Webmail service lets you access your Cox email from anywhere you have an Internet connection. Cox Digital Telephone is the newest addition to the Cox Communications offerings. With Cox digital telephone service, you can keep your current phone and phone number and simply sign up for Cox digital telephone service. 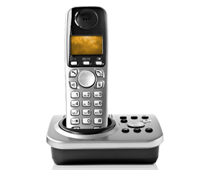 Cox digital telephone packages include a number of must-have features like call waiting, caller ID and more. Want to find your Cox digital telephone offer online now? Enter your address and zip code and we’ll locate all of the Cox offers available to you! *Prices & specials may vary by service area. *Offer Terms BuyCox.com is an authorized retailer of Cox Communications, Inc. ©2017 BuyCox.com. All rights reserved. Cox Contour TV for $64.99/mo for 12 months: *Note: Offer expires 12/3/2018 and is available to new residential customers in Cox service areas. $64.99/month is only available for new subscriptions to Cox Contour TV. Equipment fees extra. After promotion period, regular rates apply. See www.cox.com for current rates. Prices exclude installation/activation fees, equipment charges, inside wiring fees, additional outlets, taxes, surcharges (including video Broadcast Surcharge ($4.00/mo.) and Regional Sports Surcharge ($2.60-$6.00/mo., depending on Cox market))and other fees. Not all services and features available everywhere. Internet Preferred or higher is required to receive the new Contour experience, including voice remote, smart search, TV apps and more. A credit check and/or deposit may be required. Offer not combinable with other product offers. Online orders only. Other restrictions may apply. Internet Essential for $39.99/mo for 12 months: *Note: Most promotional prices cannot be combined with promotional prices for other services. The regular rate for this service may apply if another promotional service is added to your cart. Offer expires 12/3/2018 and is available to new residential Cox Internet customers in Cox service areas. $39.99/mo is only available for new subscriptions to Internet Essential service. Additional bundle options are available and may be required to receive all advertised features. 2-year service agreement required. Early termination fees may apply. Prices exclude installation/activation fees, equipment charges, inside wiring fees, additional outlets, taxes, surcharges (including $3.00 video Broadcast Surcharge) and other fees. Not all services and features available everywhere. A credit check and/or deposit may be required. Offer may not be combined with other offers, discounts or promotions. Online orders only. Other restrictions may apply. Internet Preferred for $59.99 for 12 months: *Note: Most promotional prices cannot be combined with promotional prices for other services. The regular rate for this service may apply if another promotional service is added to your cart. Offer expires 12/3/2018 and is available to new residential Cox Internet customers in Cox service areas. Offer is only available for new subscriptions to Internet Preferred service. After promotion period, regular rates apply. See www.cox.com for current rates. Prices exclude installation/activation fees, equipment fees, inside wiring fees, additional outlets, taxes, surcharges and other fees. Internet speeds not guaranteed; actual speeds vary. See www.cox.com/internetdisclosures for complete Cox Internet Disclosures. A credit check and/or deposit may be required. Offer may not be combined with other offers. Online orders only. Other restrictions may apply. Internet Ultimate for $79.99 or 12 months: *Note: Most promotional prices cannot be combined with promotional prices for other services. The regular rate for this service may apply if another promotional service is added to your cart. Offer expires 12/3/2018 and is available to new residential Cox Internet customers in Cox service areas. Offer is only available for new subscriptions to Internet Ultimate service. After promotion period, regular rates apply. See www.cox.com for current rates. Prices exclude installation/activation fees, equipment fees, inside wiring fees, additional outlets, taxes, surcharges and other fees. Internet speeds not guaranteed; actual speeds vary. See www.cox.com/internetdisclosures for complete Cox Internet Disclosures. A credit check and/or deposit may be required. Offer may not be combined with other offers. Online orders only. Other restrictions may apply. Internet Essential 30 + Cox Phone Premier: Most promotional prices cannot be combined with promotional prices for other services. The regular rate for this service may apply if another promotional service is added to your cart. Offer expires 12/3/2018 and is available to new residential Cox Internet customers in Cox service areas. Offer is only available for new subscriptions to Internet Essential service. After promotion period, regular rates apply. See www.cox.com for current rates. Prices exclude installation/activation fees, equipment fees, inside wiring fees, additional outlets, taxes, surcharges and other fees. Internet speeds not guaranteed; actual speeds vary. See www.cox.com/internetdisclosures for complete Cox Internet Disclosures. A credit check and/or deposit may be required. Offer may not be combined with other offers. Online orders only. Other restrictions may apply. Cox Phone Premier - $34.99/mo Offer expires 12/3/2018 and is available to new and existing residential customers in Cox service areas. Offer includes new subscription to Cox Digital Telephone Premier for $10/mo. for 12 mos. Unlimited plan long distance minutes are limited to direct-dialed residential, non-commercial voice calls within the United States, to Canada, and to landline phones in Mexico, and require subscription to Cox for local, toll and state to state long distance service. Calls to Mexico that terminate on a cell phone or other wireless device will incur a $0.10 per minute charge. After promotional period or if a prerequisite service are downgraded or cancelled, regular rates apply. Prices exclude additional installation/activation fees, long distance/international calls, directory assistance, usage fees, inside wiring fees, additional jacks, taxes, surcharges and other fees. A credit check and/or deposit may be required. Offer not combinable with other offers. Other restrictions may apply. Gold Duo: *Note: Most promotional prices cannot be combined with promotional prices for other services. The regular rate for this service may apply if another promotional service is added to your cart. Offer expires 12/3/2018 and is available to new residential customers in Cox service areas. Offer only available for new subscriptions to Cox Contour TV Premier with HBO®, Cinemax®, Showtime®, STARZ®, and Epix®, and Internet Ultimate service. Bundle rate increases $20/month for months 13-24. Equipment fees extra. After promotion period, regular rates apply. See www.cox.com for current rates. Prices exclude additional installation/activation fees, equipment charges, inside wiring fees, add'l outlets, taxes, surcharges (including $4.00-$7.50/mo. video Broadcast Surcharge and Regional Sports Surcharge ($2.60-$8.00/mo., depending on Cox market)) and other fees. Not all services and features available everywhere. A credit check and/or deposit may be required. Offer not combinable with other product offers. Online orders only. Other restrictions may apply. Contour TV and Internet Preferred for 12 months: *Note: Most promotional prices cannot be combined with promotional prices for other services. The regular rate for this service may apply if another promotional service is added to your cart. Offer expires 12/3/2018 and is available to new residential customers in Cox service areas. Offer for new subscriptions to Cox Contour TV and Internet Preferred 100 service for 12 months. Bundle rate increases $20/month for months 13-24. Equipment fees extra. After promotion period, regular rates apply. Prices exclude installation/activation fees, equipment charges, inside wiring fees, additional outlets, taxes, surcharges (including $4.00-$7.50/mo. video Broadcast Surcharge and Regional Sports Surcharge $2.60-$8.00/mo. depending on Cox market) and other fees. Internet speeds not guaranteed; actual speeds vary. See www.cox.com/internetdisclosures for complete Cox Internet Disclosures. Not all services and features available everywhere. A credit check and/or deposit may be required. Offer not combinable with other product offers. Online orders only. Other restrictions may apply. Cox Bronze Bundle for $89.99/mo for 12 months with 2-year service agreement and Price Lock Guarantee: * Note: Most promotional prices cannot be combined with promotional prices for other services. The regular rate for this service may apply if another promotional service is added to your cart. Offer expires 12/3/2018 and is available to new residential customers in Cox service areas. Offer is only available for new subscriptions to Cox Contour TV, Internet Preferred 100 service, and Digital Telephone Premier. Bundle rate increases $20/month for months 13-24. Equipment fees extra. After promo period, regular rates apply. See www.cox.com for current pricing. Prices exclude additional equipment charges, inside wiring fees, additional outlets, taxes, surcharges (including $4.00-$7.50/mo. video Broadcast Surcharge and Regional Sports Surcharge $2.60-$8.00/mo. depending on Cox market), and other fees. A Cox-provided CableCARD together with a certified compatible CableCARD retail device may be used in lieu of a digital receiver for video service; prices and feature availability may vary. A DOCSIS 3.0+ modem or higher is required to consistently receive optimal speeds for Essential 30 and higher tiers, and is strongly recommended for all other tiers. Uninterrupted or error-free Internet service, or the speed of your service, is not guaranteed. Actual speeds vary. See www.cox.com/internetdisclosures for complete Cox Internet Disclosures. Cox Extended International Calling Plan includes unlimited international calling to eligible countries listed at www.cox.com/bundle. Plan minutes are limited to direct-dialed residential, non-commercial voice calls and require subscription to Cox for local, toll and state-to-state long distance service. Telephone modem provided; remains Cox property. Backup battery (not included) required for service, including access to e911 service, during power outage. You must monitor and replace the battery as needed (www.cox.com/battery). Not all services and features available everywhere. A credit check and/or deposit may be required. Offer may not be combined with other offers, discounts or promotions. Online orders only. Other restrictions may apply. Cox Silver Bundle for $109.99/mo for 12 months with 2-year service agreement and Price Lock Guarantee: * Note: Most promotional prices cannot be combined with promotional prices for other services. The regular rate for this service may apply if another promotional service is added to your cart. Offer expires 12/3/2018 and is available to new residential customers in Cox service areas. Offer available for new subscriptions to Cox Contour TV with HBO®, Cinemax®, Showtime® and STARZ® Internet Ultimate service, and Digital Telephone Premier. Bundle rate increases $20/month for months 13-24. Equipment fees extra. After promotional period, regular rates apply. Prices exclude additional installation/activation fees, equipment charges, inside wiring fees, additional outlets, taxes, surcharges (including $4.00-$7.50/mo. video Broadcast Surcharge and Regional Sports Surcharge $2.60-$8.00/mo. depending on Cox market) and other fees. A Cox-provided CableCARD together with a certified compatible CableCARD retail device may be used in lieu of a digital receiver for video service; prices and feature availability may vary. 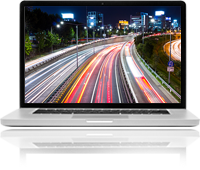 A DOCSIS 3.0+ or higher modem is required to consistently receive optimal speeds for Essential 30 and higher tiers, and is strongly recommended for all other tiers. Uninterrupted or error-free Internet service, or the speed of your service, is not guaranteed. See www.cox.com/internetdisclosures for complete Cox Internet Disclosures. Cox Extended International Calling Plan includes unlimited international calling to eligible countries listed at www.cox.com/bundle. Plan minutes are limited to direct-dialed residential, non-commercial voice calls and require subscription to Cox for local, toll and state-to-state long distance service. Telephone modem provided; remains Cox property. Backup battery (not included) required for service, including access to e911 service, during power outage. You must monitor and replace the battery as needed (www.cox.com/battery). Not all services and features available everywhere. A credit check and/or deposit may be required. Offer may not be combined with other offers, discounts or promotions. HBO®, Cinemax® and related channels and service marks are the property of Home Box Office, Inc. STARZ® and related channels and service marks are the property of Starz Entertainment, LLC. Visit starz.com for airdates/times. SHOWTIME and related marks are trademarks of Showtime Networks Inc., a CBS Company. Online orders only. Other restrictions may apply. Cox Gold Bundle for $129.99/mo for 12 months with 2-year service agreement and Price Lock Guarantee: * Note: Most promotional prices cannot be combined with promotional prices for other services. The regular rate for this service may apply if another promotional service is added to your cart. Offer expires 12/3/2018 and is available to new residential customers in Cox service areas. Offer only available for new subscriptions to Cox Contour TV Ultimate with HBO®, Cinemax®, Showtime® and STARZ®, Internet Ultimate service, and Digital Telephone Premier. Bundle rate increases $20/month for months 13-24. Equipment fees extra. After promotional period, regular rates apply. Prices exclude additional installation/activation fees, equipment charges, inside wiring fees, additional outlets, taxes, surcharges (including $4.00-$7.50/mo. video Broadcast Surcharge and Regional Sports Surcharge $2.60-$8.00/mo. depending on Cox market) and other fees. A Cox-provided CableCARD together with a certified compatible CableCARD retail device may be used in lieu of a digital receiver for video service; prices and feature availability may vary. A DOCSIS 3.0+ modem or higher is required to consistently receive optimal speeds for Essential 30 and higher tiers, and is strongly recommended for all other tiers. Uninterrupted or error-free Internet service, or the speed of your service, is not guaranteed. Actual speeds vary. See www.cox.com/internetdisclosures for complete Cox Internet Disclosures. Cox Extended International Calling Plan includes unlimited international calling to eligible countries listed at www.cox.com/bundle. Plan minutes are limited to direct-dialed residential, non-commercial voice calls and require subscription to Cox for local, toll and state-to-state long distance service. Telephone modem provided; remains Cox property. Backup battery (not included) required for service, including access to e911 service, during power outage. You must monitor and replace the battery as needed (www.cox.com/battery). Not all services and features available everywhere. A credit check and/or deposit may be required. Offer may not be combined with other offers, discounts or promotions. HBO®, Cinemax® and related channels and service marks are the property of Home Box Office, Inc. STARZ® and related channels and service marks are the property of Starz Entertainment, LLC. Visit starz.com for airdates/times. SHOWTIME and related marks are trademarks of Showtime Networks Inc., a CBS Company. Online orders only. Other restrictions may apply.